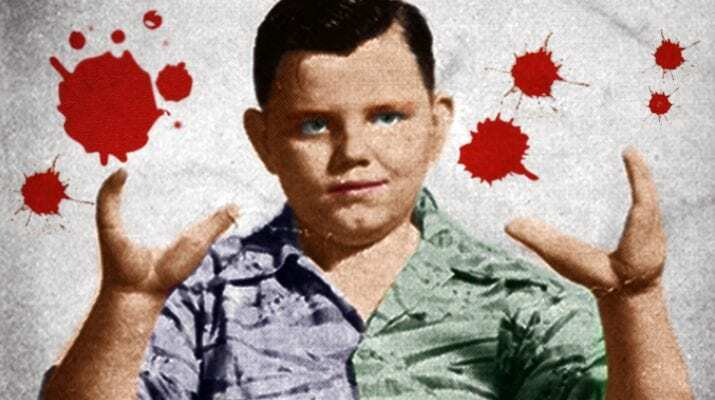 Home » Bizarre » Oddities » The Lobster Boy – Grady Stiles Jr. 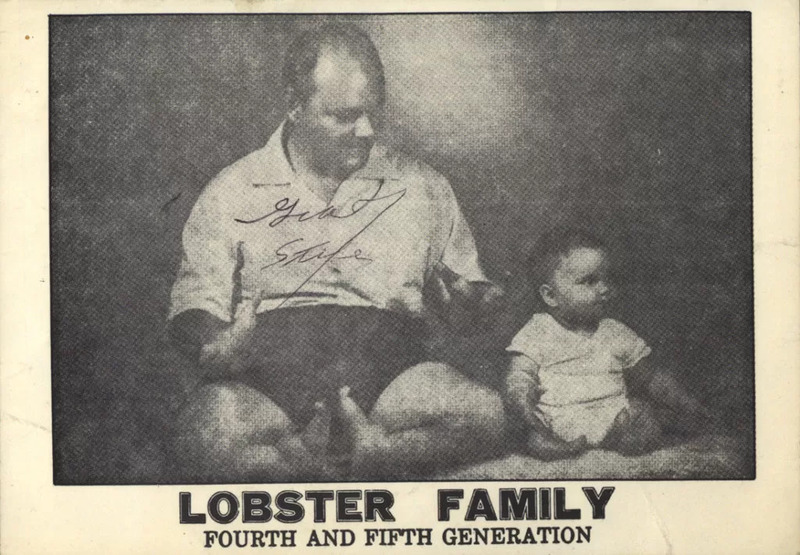 The Lobster Boy – Grady Stiles Jr. The Gorilla Lady, Human Blockhead, and the Man with the Iron Tongue. These were some of the well-known unique characters that travelled across the county as part of a “freak show” act. 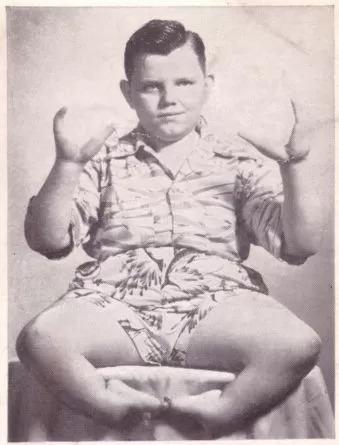 Another infamous member of this weird and wonderful crew was Grady Stiles Jr.
Grady was known as the “Lobster Boy” due to the birth defect ectrodactyly which is a malformation where the fingers and toes are fused together to form “claw-like” extremities. 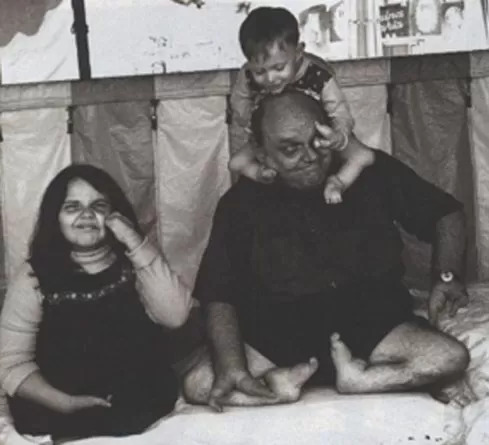 He was the fourth generation of his family to be born with the malformation. From the age of 7 onwards, Grady became a regular in the “freak show” scene. “Good evening, ladies and gentlemen, I am the Lobster Boy” he would bellow to the stunned crowd as he sat on top of a cushion, showing off his pincer-like hands and feet. As he grew older, he remained unfazed by the gawking and the taunting. His father before him was a “freak show” performer – it was the only life that Grady knew. 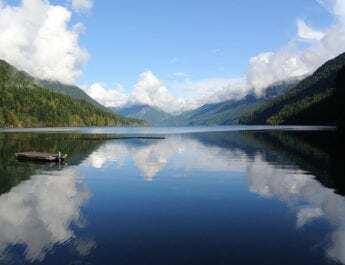 Grady went on to get married to Mary Theresa and have three children, two of whom were born with ectrodactyly – Cathy and Grady III. The youngest daughter, Donna, wasn’t. He brought them along to perform as the “Lobster Family,” in which they portrayed themselves as a loving family with one slight difference. The benevolent family act that Grady put on couldn’t have been further from the truth, however. 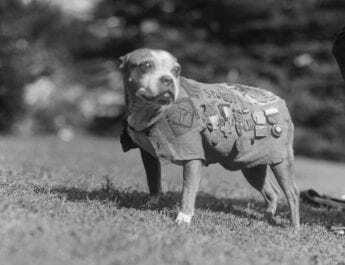 Grady was an alcoholic who had a penchant for cruelty. He frequently abused his family, both physically and mentally. They were beaten, they were headbutted and they were choked. Mary would be raped – sometimes with foreign objects. It was 1978 and 15-year-old Donna decided that she wanted to escape the cruel household. She felt trapped. She believed the only way she could ever escape was if she were to be married. She soon started a romance with 18-year-old Jack Layne who lived nearby. The duo was soon engaged to be wed. Grady, however, had different plans. The day before his daughter and Jack were scheduled to be married, Grady shot Jack dead. He died in Teresa’s arms. “Told you I’d kill him,” Grady jibed at his distraught teenage daughter. Due to his special needs, it was determined that prison would be unaccommodating. After being found guilty, he was sentenced to 15 years’ probation and returned home. There was a honeymoon period for about two weeks when Grady briefly quit drinking. As soon as he started turning to the liquor once again, the abuse continued. 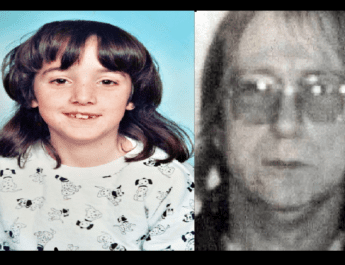 All three children and Mary were beaten with belts and threatened with murder. “I’m going to kill you but the timing’s just not right,” he sneered to Mary. He already had one murder under his belt, after all. 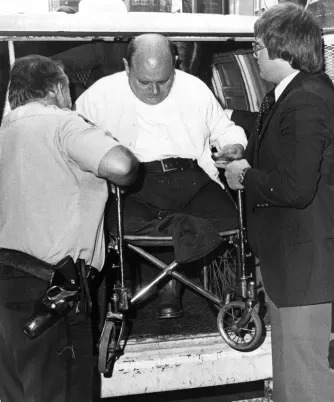 Grady even used his disability as a weapon. He would frequently shove his claw-like hands into their eyes and nip Mary’s breasts. On one occasion, he attempted to rip out Mary’s implanted contraception. On another occasion, Grady beat Cathy, who was seven months pregnant at the time, so severely that she had to be rushed to hospital for an emergency Caesarean section. The reason he beat his daughter with such force was because she had attempted to stop him from abusing her mother, Mary. 2 Cathy’s daughter, Misty, was also born with ectrodactyly. The sixth generation. Mary decided enough was enough and she needed to kill Grady. She was too afraid to leave him because she feared what he would do to her or the children. “He would kill me if ever left him again,” she stated. In fact, years beforehand Mary was successful in leaving Grady. However, he lured her back with the promise that he had changed for the better. 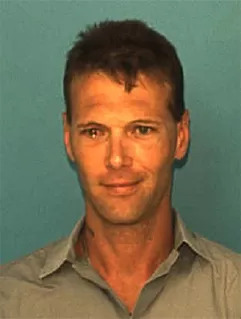 In November of 1992, Mary and her son from a previous marriage, Harry Glenn Newman Jr., aka the “Human Blockhead,” hired 17-year-old Chris Wyant to kill Grady, offering him $1,500. It was approximately 11PM on the 29th of November, 1992. 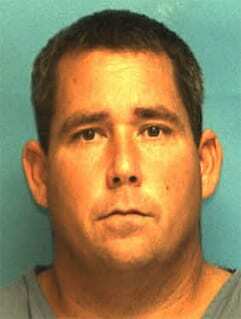 Wyant crept into the Stiles mobile home and shot Grady in the back of the neck as he watched television. 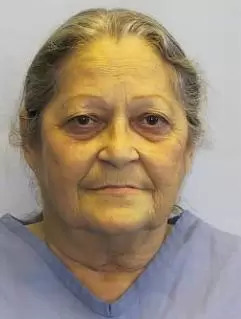 Mary was claiming battered wife syndrome and she had a profusion of witnesses to confirm her claim, including the couple’s children who relayed their horrific upbringing and the abuse that the family had endured over the years. “He was a disabled man but that didn’t prevent him from doing some of the things other men do,” said one carnival worker. 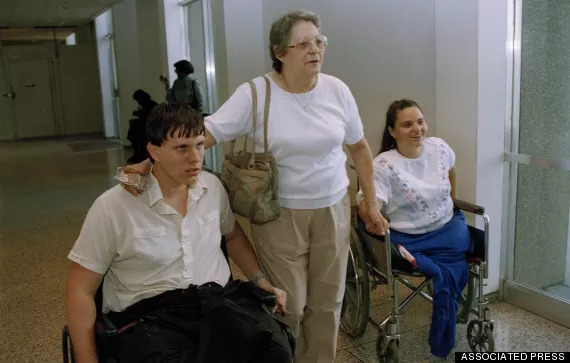 On one afternoon in court, Grady’s son scooted across the floor to “show them my dad wasn’t a helpless invalid” like the prosecution had attempted to argue. Don’t forget the /clasped hands in prayer/ on his tombstone. His wife was absolutely /savage/. Love her to death. American horror story anybody? I knew of the lobster boy but didn’t realize he was such an awful man…. What an evil man. He got everything he deserved.